With March, spring just kicks in making it a great time to be here in Nepal. The peak trekking season begins with March, but Everest base camp trek in March in early half can be a lot quieter and peaceful. Everest Base Camp is a popular destination. You can expect it to be a bit crowded with trekking enthusiasts from all over the world. 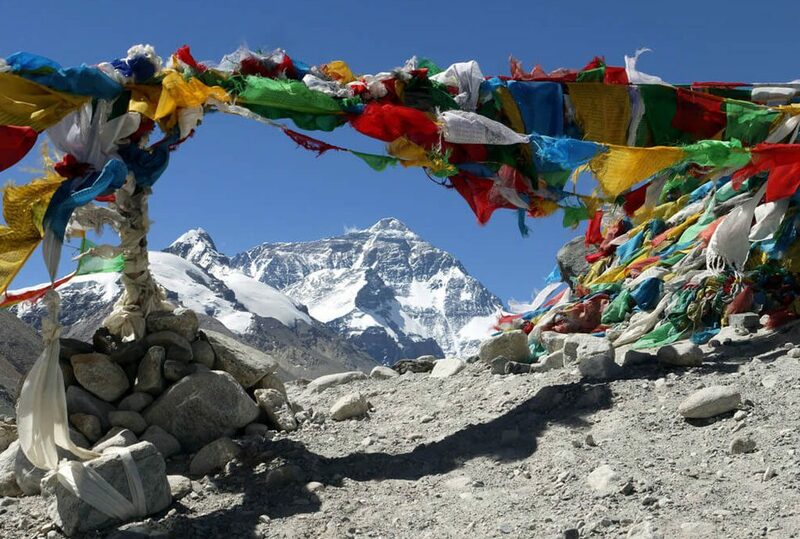 March-May and September-November are the best times of the year to trek to Everest Base Camp. During spring the skies are clearer and the weather is merrier. There is a wonderful blend of the sun and the wind this time of the year. The days are longer and you get more time to enjoy your trip. March is the time when the snow melts and flowers bloom beautifully. In Nepal, you will get to experience the beauty of nature and the greenery as well in this time. The entire journey takes about 12 days to complete. The journey starts after the 45 minutes flights from Lukla. From Lukla, you will start the trek. The clarity speaks for itself in March. There are fewer clouds which makes the view more clear and crisp. You will start off from a scenic flight to Lukla. After Lukla, you will trek towards Namche Bazaar which will be on the third day of the trek. You will stay here for acclimatization because the altitude increases and climate starts getting colder. The majestic Mount Everest is not the only one. You will witness the most gorgeous view of Nuptse, Changtse and Kala Patthar. Mount Ama Dablam is also visible. From Dingboche, you will witness Mount Makalu, Cho Oyu, Cholatse, Pumori and Mahalangur peaks. 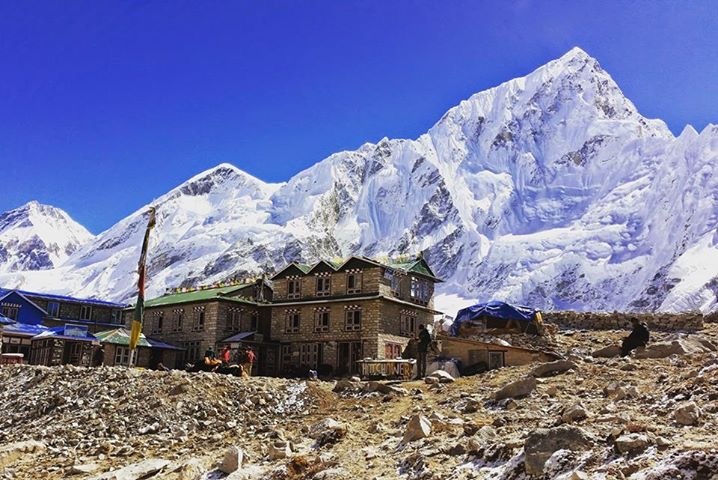 You will walk past the Khumbu glacier which is the highest glacier in the world. And few hours past Gorak Shep you can climb the Kala Patthar for the view of Mount Everest up close. The beauty involves not only the panorama of the mountains but lots more. It all starts with the beautiful waterfalls and rich forests. You will walk very close to the Dudh Koshi river. 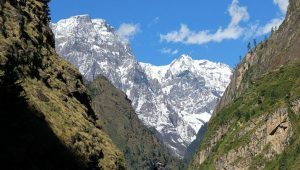 The Sagarmatha National Park, you will walk through on the trail, has a very rich forest. And in March Rhododendrons bloom making the environment surreal. The view of the contrasting colors or red and green is vibrant with the pristine mountains in the background. Varieties of plants come alive and the biodiversity thrives this season. Some of which are snow-leopard and Himalayan wolves. March is a shoulder month. So, the inflow of trekkers during March is just not that high yet. This gives you ample time to rejoice the solitude. A lesser crowd also refers to a more peaceful environment. And you won’t have to queue for foods just yet. Spots like Tenzin Norgay Sherpa Monument, Gorak Shep, Khumbu Glacier, Kala Patthar are less crowded. This means that you will have more space and focus on the place to explore rather than the crowd. The weather in March is perfect for trekking to Everest Base Camp. It is so because the temperature just begins to rise after the chilly winters. It is also a favorable time of the year because it is still not overcrowded with trekkers. In March, the temperature can be 12 to 15 degree during the day and 5 to -10 degree at night. The temperature at night can vary completely than that of the day. It is so because the wind makes a lot of difference. Lukla and Namche Bazaar are warmer than the Base Camp. The colder areas are Dingboche, Lobuche and Gorak Shep. Monsoon starts only by the end of May so chances of rain and snow are quite less. Furthermore, the weather has an influence on other factors as well. Spring welcomes trekkers from all over the world. Also, the flowers, birds, and animals are blissful this time as well. The skies are clear and the visibility is magical. We recommend you to dress up in layers. Not only does it reduce your load but also you can take it off if the weather is on the warmer side. With March, the teahouses begin to prepare for the peak season. So you will enjoy a lot of discounts and fresh food during March. And, as Everest region is a house of many tea houses you will find many of them for the comfortable food and accommodations during the trek. As the number of trekkers tends to increase rapidly by the mid of March, you need to be sure that you pre-book your treks. Else you might end up in a pickle. Although spring might be fresh and relieving, there are certain things to focus on as well. There will be bugs and mosquitoes as this is their time to dwell in nature. Not only this but the mountain weather cannot be reliable. For this, we encourage you to dress in layers. You can take off the outer layer when it is hot and put it back on when colder. This will also make your packing lighter. Since there will be more air breezing, your skin and lips might get chapped. This can also be irritating for some people. So, it is necessary to carry moisturizers, sun blocks, and lip balms. Everest Base Camp doesn’t only have the unreliable climates but also has altitude changes. So, it is necessary to stay hydrated all the time. It is best to carry a water bottle with you at all times. When it comes to the gears, cameras and other equipment are something that no one will miss. Make sure you don’t miss out on the essentials. March is a tricky time, it does start to get warm but is still colder in the higher altitudes. Packing can be quite a fuss. You will need to pack warm clothes as well as light clothes for the day. Everest Base Camp Trek via Gokyo Lake is also an ideal trek after visiting the Everest Base Camp. You will walk in off-the-beaten-paths across the typical Sherpa villages in this trek. This is a moderate trek and March is also the best time to visit. This trek can take up to 18 days. You will go to the Gokyo Valley from Namche Bazaar to the glacial lakes under Cho Oyu. 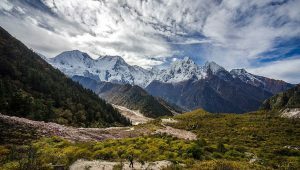 After this, you will reach Lobuche which will lead to the base camp trek route. Then you will head to Kala Patthar. The Everest Three High Passes Trek is a perfect trek for mountain lovers. 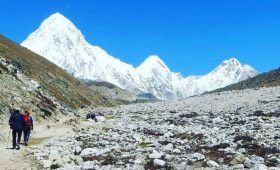 It is also called Everest Three High Passes Trek because you will pass through the three highest trekking passes in the world. 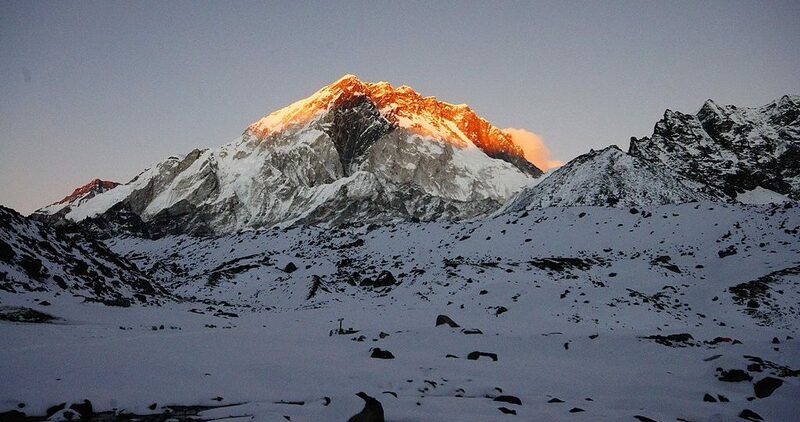 You will pass through Kongma La Pass (5535 m), Cho La Pass (5420 m) and Renjo La Pass (5340 m). 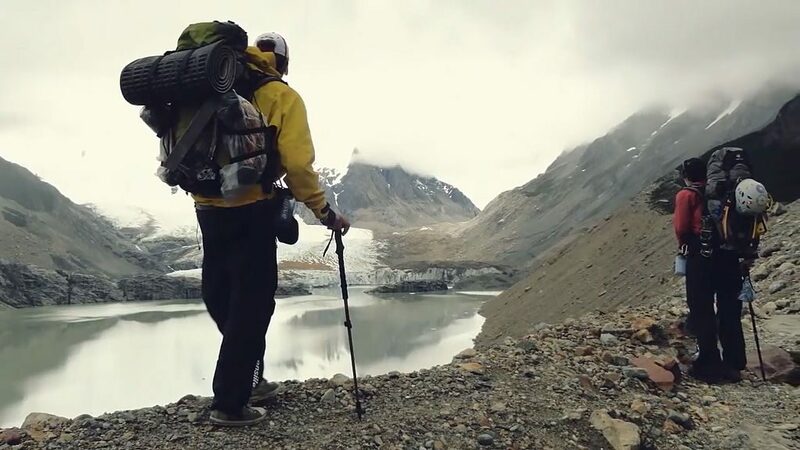 This is an adventurous trek that challenges you to walk at high altitudes. You will walk on the foot on Everest Base Camp. In this trek, you will trek through Gokyo Ri (5357 m), Kala Patthar (5545 m) and Chhunkung Ri (5546 m). You will also explore the remote areas of Nangpa La Valley, Sherpa village of Marlung and monastery village of Thame. The trek takes about 19 days. 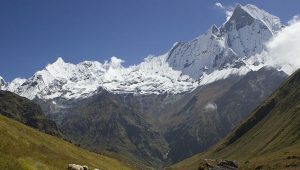 The route involves altitude that is above 5000 meters and there are high chances of altitude sickness. So proper hydration and rest are important. Another fun addition to March trek is the Trek to Everest Base Camp and Helicopter Ride Back. You can have the best of both worlds in this trip because you can enjoy both trekking and helicopter ride. You will come to Lukla first with a scenic flight from Kathmandu. You will then trek towards Namche Bazaar which is where the magic begins. This trip will be for about 12 days. You will visit a lot of monasteries including the Tengboche Monastery. You will also see the beautiful Ama Dablam from the top of Dingboche. And trekking through Kala Patthar will give you a very close view of Mount Everest. The beauty of the wild forest, plants, and animals are another factor for complete entertainment. With that, you will also enjoy the local lifestyles of the Sherpas in many Sherpa villages on the trekking trails. You will ride back to Kathmandu on a helicopter. The scenic flight will give you a mesmerizing view of beautiful landscapes and the villages as well. You will also see the monasteries from the sky above. 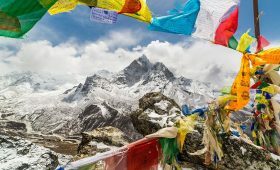 Everest View Short Trek is one of the finest short treks. Since the trek is short, it is easy as well. It is a trek of about 11 days and almost anyone can do it. You will walk past the beautiful Sherpa villages and experience their lifestyle and traditions. Namche Bazaar, Tengboche village and other are the places where you can find the Sherpas. In Tengboche village, you can also witness the Tengboche monastery. The photogenic views will give you plenty of memories to take back with you. 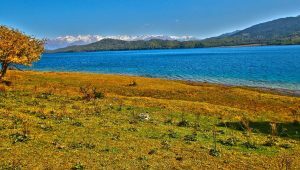 This trek is best during spring and autumn. Mt. Ama Dablam, the most beautiful mountain of the world is one of the major element of this trip. 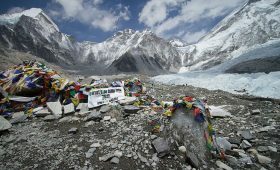 March is one of the best time to trek to the Everest Base Camp. This moderate trek will bless you with the package of nature, culture, and beauty. From the love of locals to the heartwarming food, you will have it all. Love mother nature and it will love you back. You will leave with nothing but wonderful experiences and unforgettable memories. For more details about the trek and more please contact us. We are happy to be at your service.